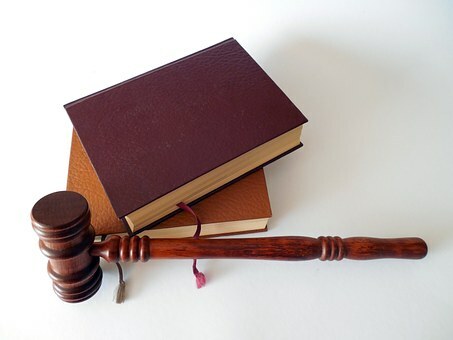 Part 1 – Rule of Law Must Be Protected! Welcome to The VORACS weekend edition & please do share with others! We provide commentary & news articles on the pertinent political stories from the past few days. Our Part 1’s tend to be posted last among the 3 parts we regularly post & have more to do with the Russian probe. It is alarming the way President Trump looks to be trying to abridge the rule of law as he keeps covering up & lying to us about the mounting evidence of crimes. Once the various investigations provide us with concrete proof, Trump would be required to exit office. At that point there’d be no other viable choice for our constitutional democracy, as the rule of law is sacrosanct! We’ll never know for sure, but it may well be any other president would have been long gone by now. There is so much stuff! In court the prez has already been implicated as a co-conspirator for felony campaign finance violations, many of his top campaign officials are guilty of felonies, Trump’s history of committing tax fraud for his businesses has been exposed, plus there are all things Russia just based on the small fraction of what the public knows so far. Specifically, the Trump campaign had 100+ contacts with various shady Russians, had discussed various deals with them, were aware & interested in the dirt the Russians had stolen on their election opponent, subsequently lied about those contacts & conversations they had with those many Russians, with the proof ultimately coming out the Russians did interfere in our election with a disinformation campaign through those WikiLeaks email dumps & massive propaganda campaign on social media. No evidence of collusion? Think again! Now the scandals come in batches. President Trump’s longtime associate Roger Stone is arrested. A new filing suggests former campaign manager Paul Manafort’s interaction and information sharing with Kremlin-connected Konstantin Kilimnik is at the heart of the special counsel’s work. The Post now has uncovered a massive scheme to hire illegal immigrants at Trump properties, a revelation that would doom, say, a governor or CEO of a major company or induce calls for impeachment from Republicans if a Democratic president were in office. We haven’t even gotten to a final report from special counsel Robert S. Mueller lll or completion of the U.S. attorney for the Southern District of New York’s investigations. The New York state attorney general continues to probe Trump’s foundation, which was forced to close due to massive irregularities. If even one set of inquiries had been at issue before Trump ran, he never would have made it through the primaries. And now, with so much more yet to uncover, one wonders why Republicans don’t jump from a sinking ship. Trump, besieged on multiple fronts by investigations, losing political influence with each passing day and growing increasingly unhinged, in all likelihood will drag Republicans down to defeat in 2020 just as he did in 2018. Given Trump’s strong approval within the party, a sycophantic right-wing media, more “respectable” conservative pundits who feel compelled to rationalize support for a grotesquely unfit president and (at least for now) a strong economy, Republicans might simply stick by him, going down with the ship in 2020. As I said, I’m not sure any other president could have survived such an onslaught of what our forefathers called high crimes & misdemeanors. Trump has been uniquely protected by his cult, from House GOP committees for two years running interference for him, the echo overlooking & excusing any evidence of illegalities, & his Trumpeter base mesmerized into a trance in servitude to their master’s aura. It’s apparent an evil cult doesn’t adhere to truths, ethics or principles, so they don’t have much use for the rule of law either. But the worst of the Trumpian crimes have yet to be made public, so when the avalanche of illegalities soon descend on this president, I’m quite confident not even Trump can survive the deluge. It just might shock the GOP out of their trance! We can still have some flicker of hope even among Republicans, in the back of their minds shine a light of conscience, where they do understand our Constitution & rule of law need to be preserved when it’s being threatened as we’re increasingly witnessing these days. When the end of this presidency does come, our nation’s wide divides will be ripped open into a grand canyon, with clarion calls for civil war coming from the most unhinged of the far-right cult. If America can wade through this unstable stretch of rough waters, our nation will come out stronger for having adhered to the Constitution & rule of law. On the other hand, should investigations produce concrete evidence of crimes, yet with the backing of his cult & alternative-facts rhetoric from his echo allowing this presidency to survive, suddenly America will be treading on dangerous ground. That could mark the starting point on the slippery slope into a fascist dictatorship. We may be at a crossroads. A free constitutional democracy or closed totalitarian autocracy? Americans need to be made aware of the potential choices before us, so as a nation we can choose the correct path. Even after his multiple convictions & then copping a plea, these reports show Manafort kept lying to prosecutors & working with his Ukraine connections. Signs are he may have betrayed Mueller’s team by banking more on a presidential pardon, possibly implicating the prez in a cover up. Manafort’s legal team has been in communications with Trump’s legal team in a joint defense agreement, suggesting coordination between them. And it’s possible Manafort may have concerns over his family’s safety should he spill the beans. It seems he owes a lot of money to some nasty Russian oligarchs. A newly released transcript reveals that former Trump campaign chair Paul Manafort continued working for a political client in Ukraine into 2018, after he had already been indicted in Robert Mueller’s probe — and that prosecutors think Manafort may have told one lie to up his chances of a pardon. During a sealed hearing Monday, which was held to discuss Manafort’s alleged lies to the special counsel, prosecutor Andrew Weissman referred to “2018 work that he did with respect to polling in Ukraine,” according to the redacted transcript. Manafort was indicted by a federal grand jury in Washington, D.C., in October 2017. He and partner Rick Gates, who also worked for the Trump campaign, were charged with money laundering, bank fraud and conspiracy against the United States. After Manafort was convicted on federal charges in a related case in Virginia in 2018, he agreed to a plea deal with prosecutors on the D.C. charges, pleading guilty to conspiracy and witness tampering. As part of the deal, he agreed to cooperate with Mueller’s team. He was interviewed by prosecutors for 12 days and testified before a grand jury for two days. In November 2018, Mueller’s office said that Manafort had lied repeatedly to prosecutors and violated the plea agreement. The redacted transcript of the hearing released Thursday, which describes some of the alleged lies, is 143 pages long. The transcript indicates that Manafort lied about interactions with former colleague Gates in regard to what a prosecutor called “an extremely sensitive matter,” the nature of which is redacted. The prosecutor told Judge Amy Berman Jackson that Manafort lied about what he had told Gates, and said Manafort lied because telling the truth would “have I think, negative consequences in terms of the other motive that Mr. Manafort could have, which is to at least augment his chances for a pardon.” Only the president can pardon someone convicted of a federal crime. The transcript misidentifies the person speaking to the judge as a defense attorney, but the speaker is clearly a prosecutor, likely Weissman. Another alleged misstatement is related to Manafort’s discussions with Konstantin Kilimnik, a person identified by the FBI as being associated with Russian intelligence. According to prosecutors, the discussions occurred on Aug. 2, 2016, while Manafort was Trump campaign chair, and continued through 2018. According to prosecutors, Manafort and Kilimnik had a discussion that referenced a “backdoor.” The reference to a “backdoor” comes after the discussion of Manafort’s work in the Ukraine, specifically work for a potential candidate there and polls Manafort had arranged. The details of the discussion are redacted, so the transcript does not make clear who the candidate was, what the polling was about, or what “backdoor” means. It does not say anything about the backdoor being related to the Trump campaign, Russia, or any of the hacking and interference efforts that occurred in the 2016 campaign. Weissman said the information showing Manafort’s 2018 work in Ukraine had been “obtained, I think, after the Eastern District of Virginia trial” and was not shared with Manafort. The Virginia trial ended Aug. 21, 2018, with a guilty verdict on eight charges. Judge Jackson asked prosecutors why the Kilimnik discussions and his role in 2016 were important. Weissman responded, “This goes to the larger view of what we think is going on, and what we think the motive here is.” “This goes, I think, very much to the heart of what the special counsel’s office is investigating. And in 2016. there is an in-person meeting with someone who the government has certainly proffered to this court in the past, is understood by the FBI, assessed to be — have a relationship with Russian intelligence, that there is REDACTED. And there is an in-person meeting at an unusual time for somebody who is the campaign chairman to be spending time, and to be doing it in person,” Weissman said. At one point during the hearing, Manafort lawyer Kevin Downing made reference to a communication between Kilimnick and a person whose name is blacked about, apparently about repealing U.S. sanctions on Russia, according to the transcript. “There are documents that you were given regarding Mr. Kilimnik’s communications with former REDACTED,” Downing said. “…this narrative of a REDACTED is nonsense because no matter who gets elected, that the sanctions were going to continue against Russia.” In fact, former State Department officials told NBC News in 2017 that the Trump administration had been gearing up to unilaterally lift sanctions on Russia. Amid the furor over the Mueller investigation, that hasn’t happened. The transcript also shows that Manafort attorney Richard Westling told the judge that his client was under significant strain when he decided to cooperate. He told Judge Jackson, “I think the situation that we want to be sure the court is aware of — we know that it is — is just the challenges of anyone who is, you know, facing some of the physical and emotional challenges Mr. Manafort was; the situation of his confinement, the focus, really for the last months before this, really on just the trial issues on the case, and then shifting, almost immediately, to: Let’s open the world to everything you remember over the last several years, and well before that.” Federal prosecutors countered by pointing out that the bulk of their questions had to do with the evidence they had already gathered and provided to Manafort prior to his trial in Virginia during the summer of 2018. Federal prosecutors told a judge this week that Paul Manafort, President Trump’s former campaign chairman, may have lied to them about “an extremely sensitive issue” in hopes of increasing the chances that he would be pardoned for his crimes, according to a transcript of the hearing unsealed Thursday. The heavily redacted document leaves unclear what issue Mr. Manafort was being questioned about. Prosecutors working for the special counsel, Robert S. Mueller III, are accusing Mr. Manafort of lying to them repeatedly last year after he agreed to cooperate with their investigation of Russian interference in the 2016 presidential race and the Trump campaign in exchange for a possibly lighter sentence. The discussion of whether Mr. Manafort could have been angling for a pardon came during a closed session Monday in Federal District Court in Washington, D.C., before Judge Amy Berman Jackson. Judge Jackson is exploring the prosecution’s claims that Mr. Manafort lied before she sentences Mr. Manafort for two felonies to which he pleaded guilty in her court. But the judge seemed to consider other statements by Mr. Manafort to be more seriously misleading. And the prosecutors argued that Mr. Manafort misstatements were not minor at all, but had bearing on continuing criminal investigations. They said that Mr. Manafort had tried to obfuscate the truth about his use of $125,000 from a pro-Trump political action committee to pay his legal bills during criminal investigations that ultimately led to his conviction for 10 felonies, including tax fraud, bank fraud and conspiracy. Mr. Weissmann described that arrangement as “to put it charitably, a scheme,” and that Mr. Manafort lied to hide knowledge of it. He stressed that information about that element of the case, apparently involving suspected kickbacks from the political action committee, was being kept secret — a hint that a criminal inquiry is continuing. The prosecutors also suggested that they are continuing to look into Mr. Manafort’s dealings with Mr. Kilimnik. Mr. Manafort and Mr. Kilimnik maintained ties both during the five months that Mr. Manafort worked for Mr. Trump’s campaign and after Mr. Manafort was fired as campaign chairman in August 2016, prosecutors said. The special counsel’s office is claiming that Mr. Manafort lied about the number of times that he and Mr. Kilimnik discussed a plan that apparently would have eased American-led sanctions against Russia in exchange for certain concessions that Russia would make regarding Ukraine. Russia’s invasion of Ukraine provoked the imposition of sanctions that the Kremlin wants lifted. In what appears to be a reference to the peace plan, the transcript states that Mr. Manafort and Mr. Kilimnik discussed the issue at least five times: in August 2016, in December 2016, during the inauguration week of January 2017, in February 2017 and during winter 2018. Mr. Weissmann said the Aug. 2, 2016 meeting was highly unusual given that Mr. Manafort was then busy running Mr. Trump’s campaign. “That meeting and what happened at that meeting is of significance to the special counsel,” he said. After President Donald Trump’s former Campaign Chair Paul Manafort was found guilty on 8 counts of federal criminal charges brought by Special Counsel Robert Mueller, he decided to try his luck and avoid a second trial by becoming a cooperating witness in the Russia investigation. It didn’t work out — in November 2018, Mueller’s team revealed that they believed Manafort was lying about key facts in their interviews, nullifying his cooperation deal. Since then, details about his alleged lies have slowly emerged in various court documents. And a new transcript of closed-door hearing in the case released Thursday exposed stunning new details about the Mueller team’s thinking and its progress in the investigation. Despite reports that Mueller’s investigation is going to be wrapping up soon, the transcript suggests that, at least recently, the special counsel was still pursuing key parts of its mission in the Russia investigation. And though he isn’t mentioned by name, the transcript contained a particularly revealing detail about the president with damning implications. While many conservative critics of the investigation — most notably Trump — have dismissed the idea that there was any “collusion,” criminal or otherwise, between the campaign and Russia’s efforts to interfere in the election, the special counsel’s office made clear in the hearing that it is still interested in these questions. To make explicit what the special counsel’s office is saying here: Manafort’s meeting with a man with ties to Russian intelligence during the heat of the 2018 campaign is at “the heart” of the Russia investigation. The meeting is important to the special counsel. And the special counsel thinks that these facts give Manafort a motive to lie about it — suggesting he’s covering up incriminating behavior. A previous court filing revealed that in one of his meetings with Kilimnick, Manafort provided him with polling data, indicating the meeting was directly related to the election. And even The Daily Caller’s Chuck Ross, a frequent critic of the Russia investigation, pointed out Thursday that the meeting with Kilimnick Weissman referenced was on Aug. 2 — a month after Manafort sent a Kilimnick an email offering private briefings to Russian Oligarch Oleg Deripaska, to whom Manafort was reportedly in debt. The above section of the transcript is followed by significant redactions, suggesting sensitive material that the government still wants secret lies beneath. And Weissman was also careful to note to the judge that there were certain facts he wasn’t willing to reveal in court. At another point in the transcript, a prosecutor tells the judge that one of Manafort’s motives for lying to investigators about something he told to Rick Gates, another former Trump aide who is cooperating in the probe, was that he was trying to “augment his chances for a pardon.” (NBC News noted that the transcript appears to incorrectly attribute this remark to one of Manafort’s lawyers, when it is, in fact, clearly a prosecutor speaking.) This is the first time the special counsel has indicated publicly that it thinks a witness or target in the investigation might be angling for a pardon. Many have speculated that the pursuit of a pardon could explain Manafort’s otherwise puzzling behavior. But since a pardon for federal crimes could only come from the president, the special counsel’s acknowledge of this possible motive is remarkable. It means the special counsel believes Manafort could increase his chances of a pardon by with a criminal lie. This, quite directly, implies that Trump has an interest in one of his former aides engaging in a criminal cover-up — a circumstance that is hard to imagine unless the president himself is at least indirectly implicated in criminal behavior. While many have long suspected and argued as much, it is still a stunning turn of events to have it confirmed by prosecutors in court. Legal analyst Luppe Luppen speculated on Twitter that, in a redacted portion of the transcript, prosecutors may have listed the possibility of a presidential pardon as an “unusual factor” in Manafort’s plea agreement. The transcript also reveals that Manafort met with Kilimnik at Trump’s January 2017 inauguration, which is reportedly under investigation separately by the Southern District of New York. There, they discussed the promotion of a Ukraine peace plan, prosecutors said, which is believed to favor Russian interests. This shows that, despite Trump’s attempt to distance himself from Manafort after firing him in August of 2016, Manafort at least believed he had the chance to promote a political agenda under the Trump administration. Other portions of the hearing also referred to connections between Manafort and the president since the inauguration. Prosecutor Greg Andres said that Manafort “constantly either minimizes the information he has about the administration or contact with the administration.” He adds: “So there’s an issue whether or not during cooperation he’s communicating with [redacted] or perhaps providing information about questions or other things that are happening in the special counsel investigation, whether’s he’s sharing that with other people.” After Manafort had agreed to cooperate, Rudy Giuliani, the president’s lawyer, revealed that the ex-campaign chair had stayed in his joint defense agreement with the president, a situation legal experts said was extraordinary and posed the risk that he could inappropriately share sensitive information. U.S. Special Counsel Robert Mueller is focussed on a meeting at the height of the 2016 presidential campaign between Donald Trump’s then campaign chairman Paul Manafort and a business associate prosecutors say has ties to Russian intelligence, according to a court filing on Thursday. The Aug. 2, 2016, meeting between Manafort and Konstantin Kilimnik was one of several at which the two discussed a topic related to Ukraine, according to the transcript of a sealed Feb. 4 court hearing in Manafort’s criminal case in Washington. Mueller contends that Manafort lied about the number of times he and Kilimnik discussed the topic, the description of which is mostly redacted in the transcript. Judging by previous court filings the topic at issue appears to be a “Ukrainian peace plan” that was reportedly aimed at lifting U.S. sanctions on Russia ― long an important objective of Russian President Vladimir Putin’s government. Andrew Weissmann, one of the prosecutors on Mueller’s team, told the judge that Manafort’s alleged lies about his meetings with Kilimnik were significant because they related to “what we think is going on, and what we think the motive here is.” “This goes, I think, very much to the heart of what the Special Counsel’s Office is investigating,” Weissmann said, according to the court transcript. Mueller is investigating U.S. allegations that Russia meddled in the election and whether members of the Trump campaign coordinated with Moscow officials. So far, the investigation has ensnared 34 people. Moscow denies interference and Trump dismisses the probe as a political witch hunt. Kilimnik, who was indicted last year on charges of witness tampering in Manafort’s case, has denied having ties to Russian spy agencies. In addition to the Aug. 2, 2016 meeting, which took place at the Grand Havana Club, a cigar bar in Manhattan, Manafort and Kilimnik also discussed the Ukraine-related issue in December 2016 and twice in early 2017, according to the transcript. One of the discussions took place in person in January 2017 when Kilimnik was in Washington for Trump’s inauguration, the filing said. The closed hearing was held so the judge could weigh evidence supporting allegations by Mueller’s office that Manafort had lied to prosecutors about five subject matters in breach of a plea agreement struck in September. Manafort, who was convicted of financial crimes by a jury in a separate case in Virginia in August, has said any inconsistencies in his statements to prosecutors and the grand jury were not intentional. The transcript also showed that Manafort continued to work for a client in Ukraine in 2018 even after he was indicted by Mueller. These recordings, in part, led the Southern District of New York to launch a criminal investigation into how the inaugural committee spent its record $107 million. Now, the investigation appears to be advancing. In December, The Wall Street Journal and The New York Times reported that prosecutors are examining the committee’s spending, and investigating whether foreign donors from nations including Saudi Arabia, Qatar, and the United Arab Emirates funneled money to the committee in an effort to influence U.S. policy. On Monday, the inaugural committee received a subpoena from the S.D.N.Y. requesting documents related to spending and donors, vendors, and benefits handed out, as well as documents related to a wealthy donor who had once registered as a foreign agent working on behalf of the Sri Lankan government. The Journal reported that prosecutors have asked Gates about the inaugural fund’s spending and its donors. (Lorin Reisner, an attorney for Wolkoff, said in a statement: “Stephanie is not going to comment on these reports. She remains proud of her work on the inauguration, and we are confident that her conduct was proper in all respects.” Cohen did not respond to a request for comment.) The subpoena is the latest sign that, while the Mueller investigation could be winding down, the Southern District may be probing a variety of Trump-adjacent avenues into the foreseeable future. An inquiry into the inauguration might also be acutely poignant, given Trump’s concurrent association with both his business and his incoming administration in its earliest days. It involved big money and outside influence. And it involved the Trump family in intimate, important ways. Wolkoff, suddenly and unexpectedly, could find herself in the middle of the maelstrom. Donald Trump and various entities he has controlled have been subject to a wide array of criminal investigations, some of them quite intricate and complex. That complexity has obscured what is quickly becoming a clear and simple conclusion: Trump used his inauguration to illegally line his own pockets. The inauguration is under federal investigation, and the story has emerged in dribs and drabs. But enough pieces have come together that we know where the story is going. Let’s quickly review. Last March, WNYC took note of the vast sums spent on Trump’s inauguration, which cost twice as much as the previously most expensive inaugural event, yet could not easily account for where all the extra money had gone. In December, the Wall Street Journal broke the news that federal investigators were looking into the inauguration. At this point, the story appeared to revolve primarily around Trump cronies using the inauguration for enrichment or political influence. “Many of the president’s biggest campaign backers were involved in the inaugural fund,” the Journal noted. The probe also looked into whether the inaugural fund had accepted foreign money, which is prohibited. But WNYC found in December that one possible source of overpayments included fees to Donald Trump’s Washington hotel. Emails by WNYC found the Trump Hotel manager proposing to charge the inauguration $175,000 a day for use of its ballroom and conference rooms, a rate the manager of the inauguration objected to as exorbitant. Monday night, ABC News reported that investigators subpoenaed documents from the inauguration committee. Today ProPublica adds another key detail, confirming that the inauguration did pay the exorbitant $175,000 fee to the Trump Hotel. And it quotes tax law experts describing this as an obvious crime. “It could be a tax law violation,” Brett Kappel, an attorney at Akerman LLP who advises nonprofits, tells ProPublica. Of course, fees to Trump’s hotel go straight into the pockets of Donald Trump and his family. So these apparent tax law violations — which amount to embezzling funds from the inaugural committee through self-dealing — were carried out for their personal benefit. Did Donald Trump personally direct the apparently illegal scheme to divert inaugural funds to enrich the Trump Organization? That remains to be proven, but the odds would seem to be fairly high that he did. The Russian spy’s boyfriend with ties to the NRA got arrested, as seen inside us-boyfriend-of-russian-agent-maria-butina-charged-with. Here we see reports of donor money being used for sonny-in-law Jared’s legal bills: trump-campaign-paid-legal-fees-firm-representing-jared. And sonny-boy jr. senses his time in the barrel is nigh: donald-trump-jr-will-be-indicted-soon-hes-even-telling-his-friends-to-prepare-for-it-per-raw-story. I rarely post Palmer Report articles since their overexuberance detracts from their credibility, as they’re sort of like the echo-version of the far-left, but they’re fun to read because they tell us what we want to hear: big-arrests-coming-soon-trump. And it’s about time, since for two years with the GOP in control of House committees, all we got was stonewalling & cover ups. 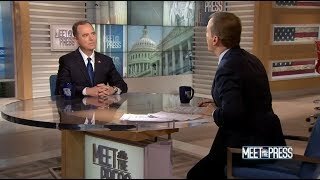 Here’s a good interview just shown on MTP, with Schiff commenting we need to know the facts & there’s already lots of solid evidence of collusion. Good stuff in here, with Schiff being very professional & sharp:https://www.youtube.com/watch?v=4wBAeXnRu0k. To open a new investigation, prosecutors need a credible predicate to believe that a crime has been committed. They must develop probable cause to believe they will uncover evidence or the fruit of a crime to persuade a federal judge to issue a search warrant. None of this suggests the witch hunt Trump often claims it is. Federal investigations are serious business, with high stakes for those involved. Public corruption cases undergo internal scrutiny at the Justice Department to avoid the possibility of political maneuvering. An individual who becomes a target in one wants to limit the possible crimes he faces to as narrow a range as possible. That is doubly true for a political officeholder, who must manage the political fallout of investigations as well as the prospect of being charged in court. Trump, however, is now fighting a legal battle on multiple fronts, both substantively and geographically. He is in jeopardy. Criminal charges once he leaves office or referrals to the House of Representatives for an impeachment inquiry before then are real possibilities. Compounding all this is the fact that related investigations cross-pollinate. Evidence and cooperating witnesses produced in one case can help prosecutors in another, increasing the risk that wrongdoing, if it exists, will be uncovered. For example, once he pleaded guilty and became a cooperator, the president’s former deputy campaign chairman Rick Gates served as a witness against Trump’s former campaign chairman Paul Manafort at his trial. But as both a former campaign and inaugural staffer, Gates also has information that is useful in the other probes. Mueller recently told a judge in Washington that Gates continues to cooperate in “several ongoing investigations.” Similarly, Cohen first agreed to plead guilty in the Southern District’s campaign finance probe, but then he became a cooperator for Mueller and provided, in the course of seven interviews, what the special counsel called “useful information’’ concerning certain discrete Russia-related matters core to its investigation. The same is true for Michael Flynn, who has cooperated in at least two separate investigations after pleading guilty to lying to federal investigators about his contacts with former Russian ambassador Sergey Kislyak. The pool of knowledge developed through crossover investigations amplifies prosecutors’ ability to uncover evidence and increases the likelihood they will have sufficient proof to bring charges. If Mueller is indeed winding down in the near future, as acting attorney general Matthew G. Whitaker recently claimed he was, it could only be with referrals to U.S. attorneys’ offices around the country. The reality is that in prosecutions, it’s never over until it’s over. New evidence can come to light at a late stage and trigger new investigations. Mueller’s reported interest in interactions between the representatives of the government of the United Arab Emirates and the Trump transition team seems ripe for such a referral. There are also concerns over potential financial improprieties in the development of Trump Tower Moscow. And this doesn’t even account for any unknown areas Mueller may be pursuing. It’s this threat of multiple ongoing investigations spanning the foreseeable future that should frighten the president the most. Whatever his personal criminal liability, it’s now proven that the organizations he has run — business, political and governmental — have been populated with actual criminals. Six of his associates, including his longtime friend and political adviser, his lawyer, his campaign chairman, his deputy campaign chairman and a foreign policy adviser have been indicted or pleaded guilty. It would be naive at this point to believe that more such charges are not coming. That apple could fall very near the tree indeed. If for some reason you found yourself watching the House Judiciary Committee hearing featuring acting attorney general Matthew Whitaker on Friday morning, you might have watched the ranking Republican shouting angrily about all kinds of obscure and meaningless matters, then asked yourself, “What is he yelling about, and who cares?” before slipping gently into a stupor and losing consciousness. Which is a risk at any congressional hearing. But some of the farcical goings-on at the hearing offer a reminder that when it comes to special counsel Robert S. Mueller III’s investigation, Democrats seem to have succeeded. Republicans are shouting about nothing not just because that’s their default mode when the cameras are on, but because they’re genuinely frustrated at how they’re losing the broader battle over the Mueller probe. The ranking committee Republican, Rep. Doug Collins (Ga.), did make one reasonable point in his ranting: Since it looks like William Barr will be confirmed as the new attorney general in a matter of days, it may not be worth getting too worked up about anything having to do with Matthew Whitaker at this point. But what Democrats are concerned about is whether in his brief time running the Justice Department, Whitaker has done anything to undermine the investigation, or tip off President Trump to its substance. That question led to this highlight, in which committee chair Rep. Jerrold Nadler (D-N.Y.) asked Whitaker whether he has had to approve any particular actions by the special counsel, since Mueller must get approval before opening up new lines of investigation or taking certain important steps. Whitaker’s attempt to evade the question was so ham-handed that the entire room burst out in a combination of shock and derisive laughter. You might take this as evidence that the real answer is “yes.” There’s nothing wrong with that, since for the moment Whitaker is overseeing the investigation. But Whitaker seemed so frightened and flummoxed by having to testify at all that it was hard to tell. Democrats are trying to do two things simultaneously with this hearing in particular and their broader efforts with regard to the Mueller investigation. The first is to discover whether there has been any improper interference from the White House to limit the probe. The second is to apply enough pressure that even if Whitaker — or the White House, or William Barr — wanted to hinder Mueller, they’d decide that doing so would be too much of a risk. The truth is that Democrats have probably succeeded in the latter goal, which must be spectacularly frustrating for Trump. He has made no bones about the fact that he he expects his Justice Department appointees to protect him from accountability when it comes to Russia (and anything else). He repeatedly belittled his first attorney general for recusing himself from the investigation, saying that without Jeff Sessions overseeing it and therefore able to quash it or scale it back, “I don’t have an attorney general. It’s very sad.” All evidence suggests that after pushing Sessions out, he appointed Whitaker in an acting capacity precisely because Whitaker had been publicly critical of the Mueller investigation. Yet Whitaker was under so much scrutiny on this question from the moment he took that position, he was almost certainly prevented from doing anything significant to impede Mueller. The same is likely to be true of Barr, who despite being critical of the investigation before his appointment now knows that if he really tries to protect Trump, eventually everyone will know and he’ll be disgraced. If Trump had actually persuaded anyone to obstruct the Mueller probe on his behalf, he wouldn’t be tweeting “Witch hunt!! !” every few days. Those are the desperate cries of a man who wishes his underlings would obstruct justice on his behalf, but isn’t getting what he wants. Actually, Whitaker is the one whose five minutes are about to be up. He’ll be relieved of his temporary duties in days, assuming William P. Barr is confirmed, ending the improbable tenure of an accidental attorney general. Before joining the Trump administration, Whitaker hawked hot tubs for a company that shut down and reached a settlement with the Federal Trade Commission. His main qualification to be attorney general, it appeared, was criticizing Mueller on TV. In a broader sense, Friday’s raucous, six-hour hearing was a vivid reminder that time has run out for the Trump administration. For two years, the GOP majority shielded Trump administration incompetence and worse from public view. That ends now. No? Republicans launched scores of probes into Benghazi, Planned Parenthood, Internal Revenue Service targeting, Operation Fast and Furious, Hillary Clinton’s emails, Solyndra, Obamacare and more, with two select committees, hundreds of subpoenas and hearings into their final days in power. Trump’s congressional allies have taken his cue. At a Judiciary Committee hearing Wednesday about gun violence, Rep. Matt Gaetz (R-Fla.) mixed it up with fathers of Parkland, Fla., shooting victims and attempted to get them tossed out of the room. More articles on the Whitaker hearing are found inside whitaker-and-nadler-clash-judiciary-committee-hearing & also here-are-7-disastrous-moments-from-acting-ag-matthew-whitakers-congressional-testimony. And it looks as though Trump selects personal physicians using the same criteria he employs when picking Attorney Generals, since the prez insists they must be slathering sycophants: yet-another-trump-doctor-has-contracted-trumpitis. In these polls seen in the links at the bottom, Americans overwhelmingly want the full Mueller report released to the public. And about half of Americans think the Trump campaign did collude with the Russians. If we’re already at half, we can assume those numbers can shoot up when the investigations soon produce solid/overwhelming proof of multiple crimes. That’s why I’m more confident than ever in my bold prediction going on two years now that our current president will not serve out his term, being impeached/convicted/removed or forced to resign. There’s no doubt in my mind pivotal GOP leaders will turn on him under the right circumstances: five-trump-crises-trigger-republicans-impeach-demand-step.